Wind seems to be the most disregarded of all the potential resources of power even in this 21st century era. Wind is a form of solar energy. Differential heating of the irregular earth’s surfaces and earth’s rotation and the uneven distribution of heat in the atmospheric layers cause wind flow. And the flow patterns of wind are again regulated by the water bodies and the vegetative covering of the earth. This wind flow produces a kinetic energy which is actually captured and harvested by using modern techniques as wind energy. Apart from this biggest benefit, disadvantages of wind power, although a few ones, are being addressed by the modern and advanced technologies. The modern devices involved in harnessing wind energy are wind energy turbines and wind mills. What are the benefits and disadvantages of wind power? To realize the potential of wind power regeneration and application, we first need to understand wind as a resource. Pondering the subject will give us a clear idea about the whole phenomenon. Different surfaces of the earth like the water bodies, land, mountains etc. have different propensities of absorbing sunlight. And there exists a constant temperature difference between the poles and the equator. All of these factors result in the upwardly movement of the hot air and eventually the movement of the cooler air to fill up the vacuum created. Therefore, wind can easily be called the earth’s circulatory system distributing the energy from the cooler regions to the comparatively hotter realms. This energy can be machinated and harnessed by modern methods and transformed into mechanical energy or electricity as required. However, the principal application of this wind power is generating electricity that provides nearly 1% of the world wide requirement of electric power. To realize the fact that exactly how does wind power work for us we need to single out each and every benefit disadvantages of this advanced application of modern science. The first and foremost and perhaps the biggest advantage of wind energy is that it is a pollution free resource that is free, unlimited and renewable ‘n’ number of times. The electric power that is produced is also clean and non-polluting. Compared to the traditional modern power plants windmills never produce any greenhouse gas or air pollutants. Apart from saving power, windmills or wind energy turbines are also easy on the wallet as compared to the fossil fuel plants since the former have a minimum life-cycle cost like no fuel purchasing and minimum operating expenses. However, the disadvantages of the wind power generators like noise pollution (generated by the rotor blades), visual impact and avian mortality (bats and birds being killed while flying into the rotors) are being taken care of by wisely locating the wind energy plants and other technological developments. The biggest disadvantage seems to be the intermittent supply of the wind resource. Intermittent because all winds cannot be harvested to generate electricity as and when required. Also often the right wind plant sites are much away from the area that requires the electricity like the cities. Therefore, considering he benefit, disadvantages of wind power plants seem to be quite negligible and manageable. In spite of the minor disadvantages discussed wind energy is the buzz word in this modern era and is gaining much popularity amongst the environment conscious citizens. How are the benefits and disadvantages related to the environment and the economics? When it comes to the environment wind power seems to be the most compatible one. Surprisingly enough along with the benefit, disadvantages of wind power are also directly related to the environment. Talking about the environmental compatibility of the wind energy, we can justly claim that the electric energy that is generated is absolutely clean and non-polluting considering that the source being wind itself is clean. The disadvantages discussed above are being treated with advanced technology. The economic facts about wind power clearly convey a very clear idea that wind as a resource is the cheapest one. In spite of the entire cognizance, wind energy is still the least pondered resource till date. 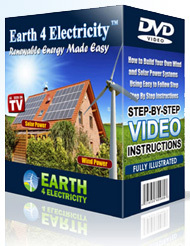 This wonder source of renewable energy is yet to be critically and efficiently researched worldwide. Wind power has the potential of generating an incredible amount of energy that can easily rule out all those environmental concerns created by the conventional power plants by their toxic emissions. So let us hope for a more conscious world ahead that considers wind as a rich renewable resource.